Justin Haley struck out 10 over 6 2/3 innings, allowing three runs on five hits. SoxProspects.com Director of Scouting Ian Cundall was in attendance, and he had Haley topping out at 93 with his fastball, while his changeup was his best secondary pitch. In 19 2/3 innings since rejoining the Red Sox system, Haley has allowed only five runs and struck out 16. Another home run for Michael Chavis lifted the Sea Dogs to victory. The home run was the 29th of the season for Chavis, which puts him in a tie for second in minor league baseball. He now has five home runs in his last 10 games, and Bryce Brentz is the only player in the system who is close to his home run total. The rest of the middle of the order also did a lot of damage, as Jeremy Barfield went 3 for 5 with a double, Josh Ockimey went 2 for 4 with a walk, and Mike Olt went 2 for 5 with two RBI. The offense was enough to support Teddy Stankiewicz, who allowed four runs over 6 2/3 innings. Bobby Poyner threw another scoreless inning, and he has not allowed an earned run since June 18. He has 23 strikeouts and five walks over those 18 2/3 innings, and he has surrendered only six hits. A solid rebound start from Roniel Raudes was not enough for Salem. Raudes struck out five and allowed two runs over five innings after allowing six runs last time out. Austin Glorius followed with three innings of hitless relief, but the Astros got to Matthew Gorst for a run in the ninth to win it. Jordan Betts led the offense, going 2 for 4 with a solo home run, and Conrad Gregor went 2 for 2 with two walks. A five-run first inning was more than enough for the Drive. Santiago Espinal went 2 for 4 with a triple and scored two runs, and Brett Netzer's only hit in four at-bats was an RBI double. Tyler Hill continued to show off his legs, going 1 for 3 with two walks and three steals. Hildemaro Requena continued to roll, striking out three over six innings of one-run ball, and Algenis Martinez picked up the save with three scoreless innings. The Spinners only managed four hits, and their pitching also struggled. Nick Duron took the loss after allowing four runs over four innings, and Durin O'Linger allowed one run over his 3 1/3 innings. The only batter to reach base more than once was Juan Barriento, who went 1 for 3 with a walk. Nicholos Hamilton had a single and a steal in his only at-at, but he was pulled after being doubled off second base in the third innings. The Red Sox left 11 men on base in their loss to the Rays. Everlouis Lozada went 4 for 4 with a triple, but nobody was able to drive him in. Ramfis Berroa went 2 for 4 with an outfield assist, and Blake Swihart went 0 for 3 with a strikeout as the catcher. This was his first time catching since going on the disabled list in the beginning of July. On the mound Angel Padron took the loss after he allowed three runs on eight hits over six innings. An RBI triple from Rafael Rincones in the top of the ninth proved to be the difference as the Red Sox pitching shut down the Royals. Alexander Montero started and tossed five shutout innings to extend his scoreless streak to 10 innings to start his career. Carlos Cortes picked up the win after allowing two hits and a walk over three innings, and Alberto Franco earned the save with a scoreless ninth. Other than Rincones, Keibert Petit had the only other notable performance offensively, going 1 for 2 with two walks while scoring the go-ahead run. Player of the Night: While the two home runs he allowed damaged his overall line, setting a career-high with 10 strikeouts is enough to earn Justin Haley the honors. Haley has pitched well since being returned from the Minnesota Twins, who selected him in the Rule 5 Draft. Haley threw 18 innings for the Twins and allowed 12 runs on 22 hits. 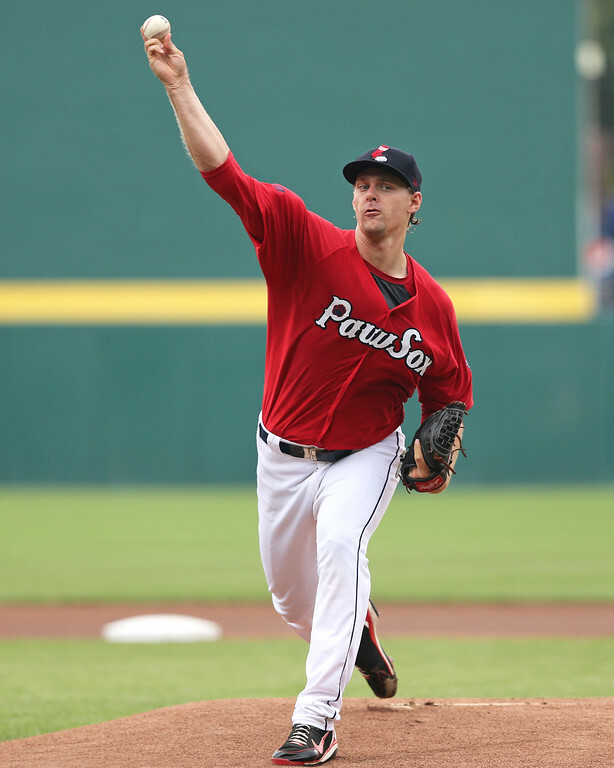 For now Haley has taken Kyle Kendrick’s spot in the Pawtucket rotation, and he provides more pitching depth down in Triple-A.